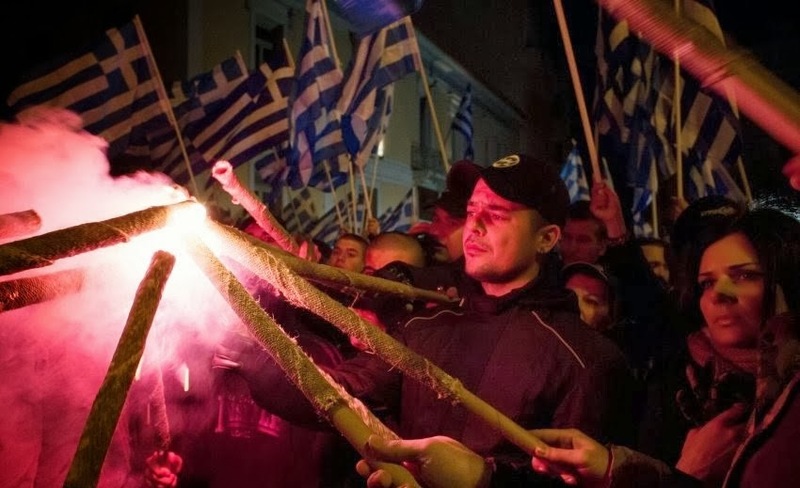 And so the days passed, with the MSM talking constantly about Golden Dawn, with tens of anonymous "witnesses" talking about the horrors of the Movement. They said that we have a weapons cache, that we train our men to use Kalashnikovs in dump sites, that we exercise ourselves. 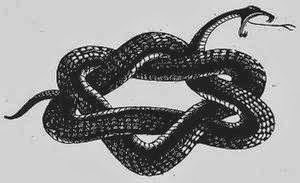 They tried with true grit, to convince that the murder of Paulos Fyssas was designed and approved by a a "chain" of comrades, from the Leader of the Party to the very low ranking member. They showed the Prime Minister receiving awards and recognision from the EU and other Zionist lobbies, in an effort to supply the people with the opium of phony national pride. 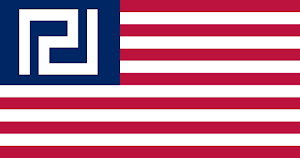 They promoted the kosher National Liberal party of LAOS, the party that got kicked out of the Parliament after its nationalist "principles" were revealed. 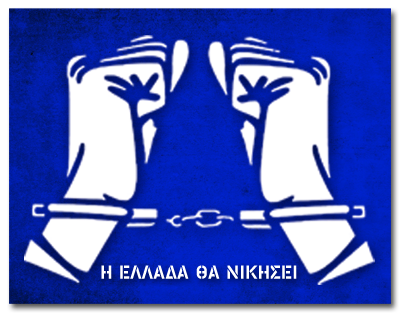 In a series of ambushes, 46 Golden Dawn members were arrested, 6 of which were MPs that surrendered voluntarily. Never before were the leading figures of a political party in Greece paraded handcuffed in front of TV cameras. On one September night, a Golden Dawner, George Roupakias, got in a football argument with an an Antifa gang, outside a coffee shop that gathered many fans of the sport due to the match of that night. Things got ugly, and the Golden Dawner claims he attacked the rapper because he was the most accessible target out of the 5 people that were attacking him. He took out the knife he had for self-defense, and stabbed the Antifa rapper Paulos Fyssas, killing him. This murder made the ruling elite particularly happy. 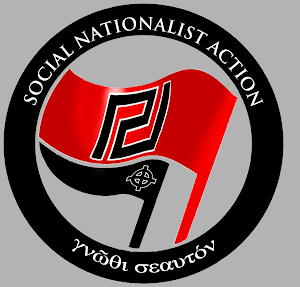 They could use this tragic event to outlaw the Golden Dawn, their #1 public enemy. They claimed that Nikos Michaloliakos, our Leader himself, actually ordered Roupakias to go and kill this particular rapper. 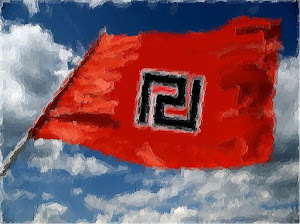 Therefore, Golden Dawn is a criminal organization and must be banned immediately! Duo to many dirty attacks by the State, terror attacks against Greek workers by "revolutionaries" that won't touch the rulers of Greece, financial difficulties and other personal reasons, I didn't have the freedom to inform the English-speaking world of what is happening in Greece, with reports untainted by the lies of the MSM, resulting in the Newsroom staying inactive for about 2 months. The problems that prevented me from reporting are no more, and I will soon (for real this time) report on all the tragic events since my "disappearance". I would like to thank all the readers and commentators for keeping the blog alive with daily visits. Hail Victory!